Also see our Process Management Standard and our Process Audit Tool. 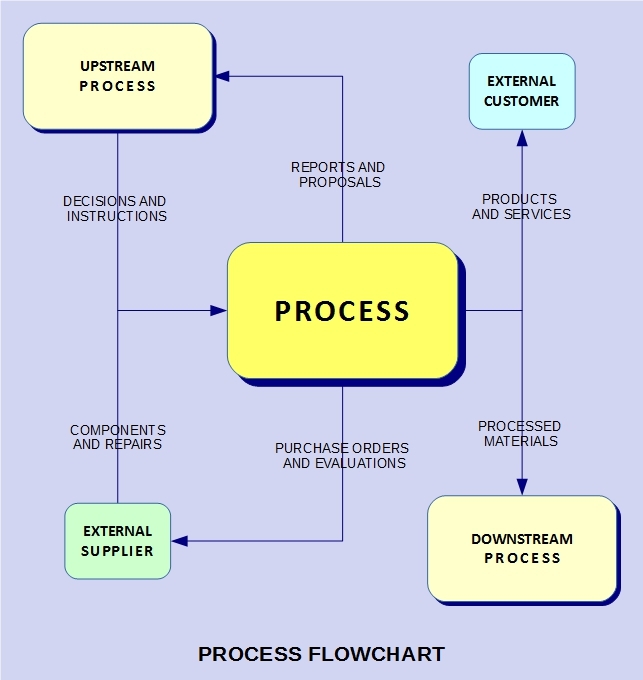 to implement a process approach. But what is it, exactly? they manage these process interactions as a system. becomes the input for another process. not only tangible outputs like products but also intangible ones. recommendations, complaints, comments, measurements, and reports. Clearly, an output could be almost anything. Since this is rather abstract, we’ll make it more concrete with examples. make up management systems. Some of these are listed below. processes and because there are many ways to categorize processes. list will probably be much shorter than ours and could be much different. process if you think it makes good sense to do so. are just too many processes and too many input-output relationships. general terms, how this could be done. show that an input-output relationship is sometimes a two-way street. Sometimes inputs go one way and outputs go the other way. 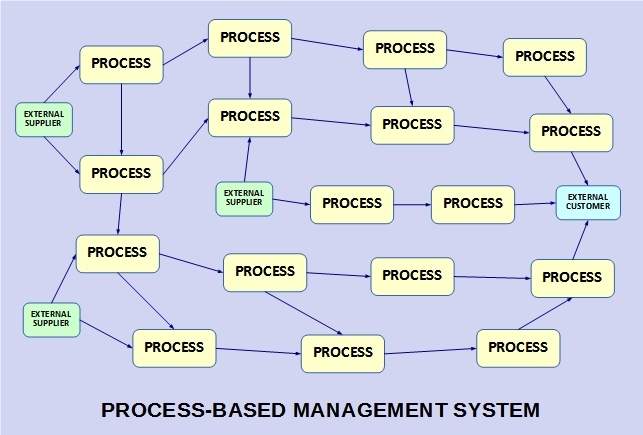 ISO expects you to establish process-based management systems. policies are implemented and how objectives are achieved. a single integrated process-based management system. and to provide the resources that each process needs. parties could affect the results it intends to achieve. these elements make up a process-based management system. in order to support your process-based management system. recommendation. It's not an ISO requirement. your organization's process-based management systems. Plan your process-based management system. Operate your process-based management system. Evaluate your process-based management system. Improve your process-based management system. Updated on March 31, 2019. First published on November 25, 2014. Copyright © 2014 - 2019 by Praxiom Research Group Limited. All Rights Reserved.